I was surprised and saddened to learn that Jose Fernandez died in a boating accident early this morning. Such a tremendous talent, gone way too soon. 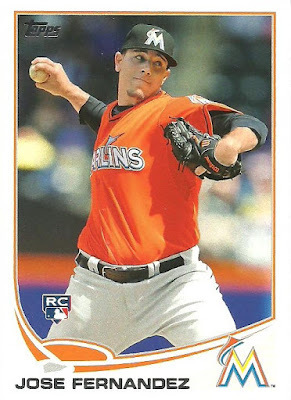 Fernandez defected from Cuba and played high school ball in Florida before being drafted in 2011 by the Marlins. 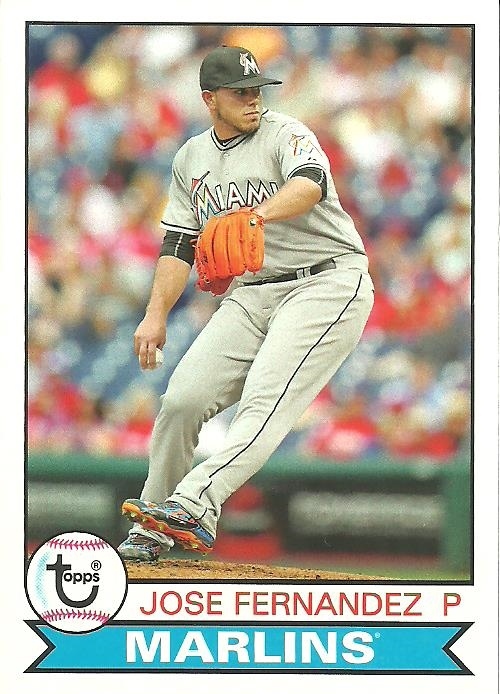 Jose took the baseball world by storm winning the 2013 National League Rookie of the Year award and earning a spot in the All-Star game that summer. He spent most of 2014 and 2015 dealing with Tommy John surgery, but was returned to his All-Star form this season. It reminded me of when as a kid I heard about Cleveland Indians relievers Steve Olin and Tim Crews were killed in a boating accident back in 1993. 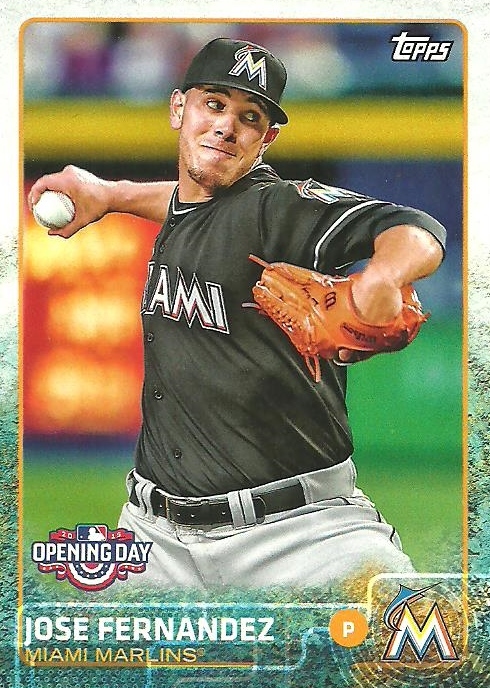 Fellow pitcher Bobby Ojeda was severely injured when the boat they were in crashed into an unlit pier on a moonless night. I sent a request to Jack McDowell over a year ago and got my three cards back signed last Friday. Probably one of my longest returns! 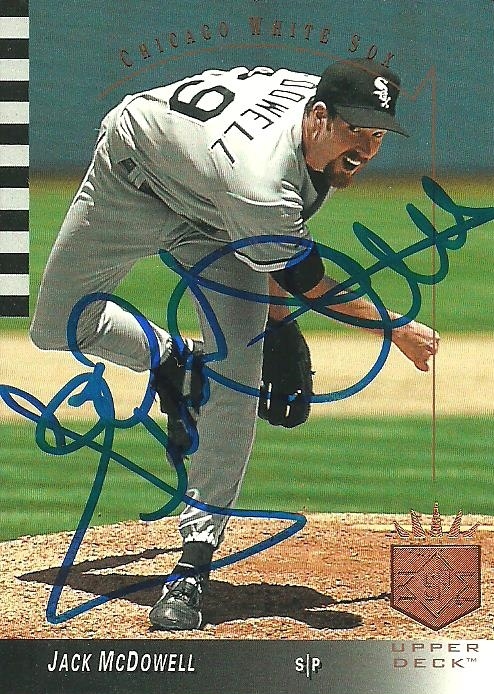 McDowell was a 3 time All-Star and won the 1993 A.L. 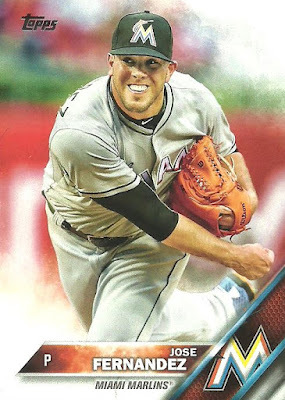 Cy Young. He's also an accomplished musician. I'm really happy to get these back and love the cards I choose to send. Check out his shoes on the 1994 Upper Deck card. 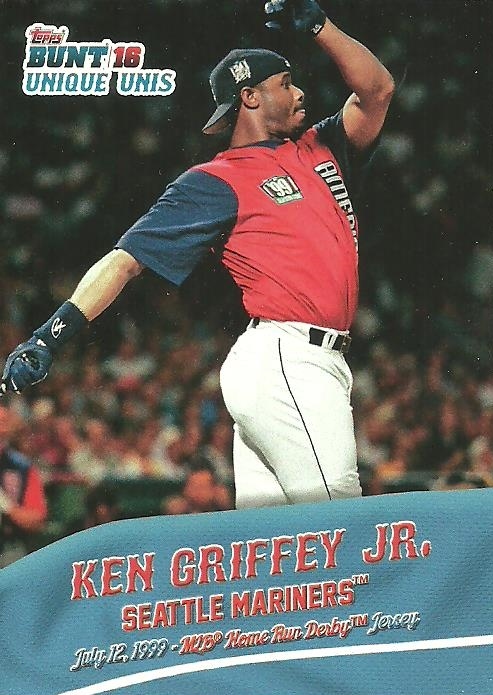 There are some pretty famous father and son combos that have played professional baseball. 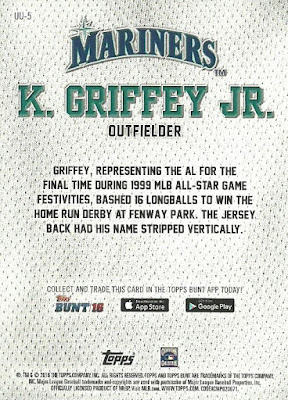 Ken Griffey Jr. and Sr., Bobby and Barry Bonds for example. Then there are others that aren't as well known. I recently came across this 1992 Upper Deck card of Mark Eichhorn. 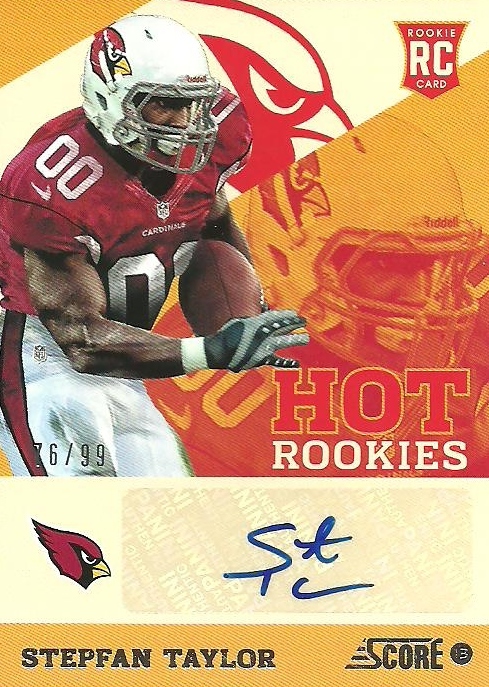 It's a great card! 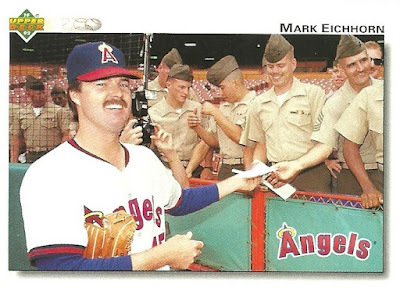 There were lots of great photos used in the 1992 Upper Deck set. This photo was likely taken right after Desert Storm. I wasn't familiar with Mark Eichhorn so I googled him and read his Wikipedia page. 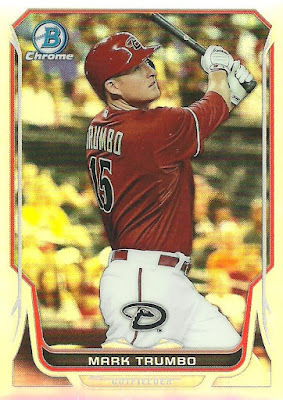 Turns out he has a son that was drafted by the Diamondbacks. 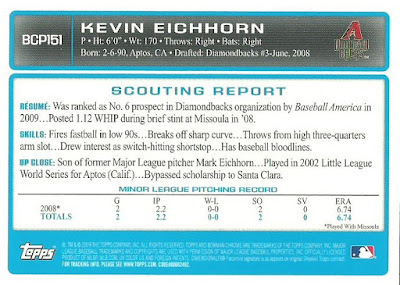 Here is the section of the page that talks about his son Kevin. 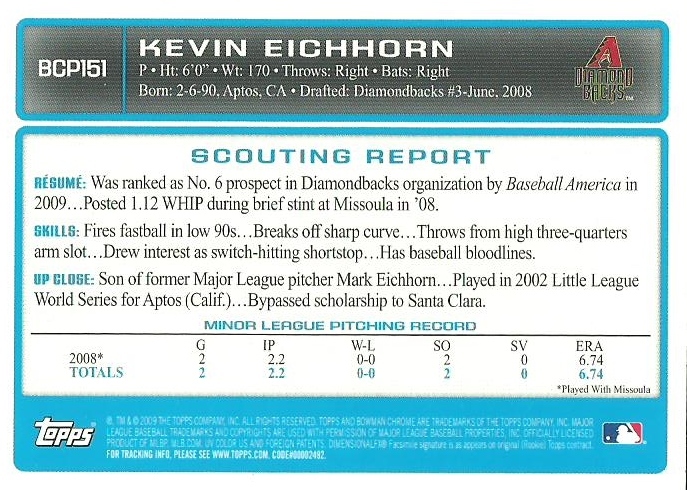 Since I recently sorted all my Diamondbacks by last name, I quickly found a card of Kevin Eichhorn. Kevin is no longer with the D-Backs organization. 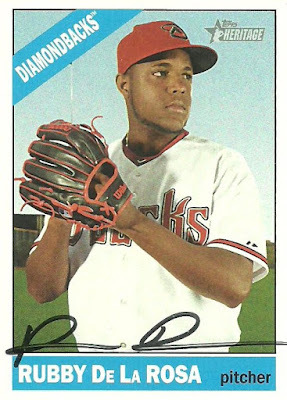 He was traded to the Tigers organization back in 2011. 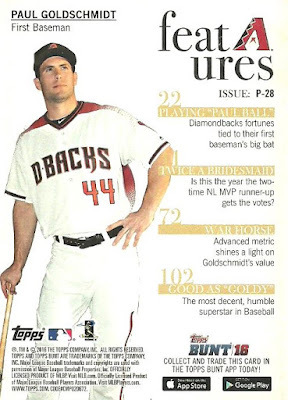 I'm not sure if he's even still in professional baseball. 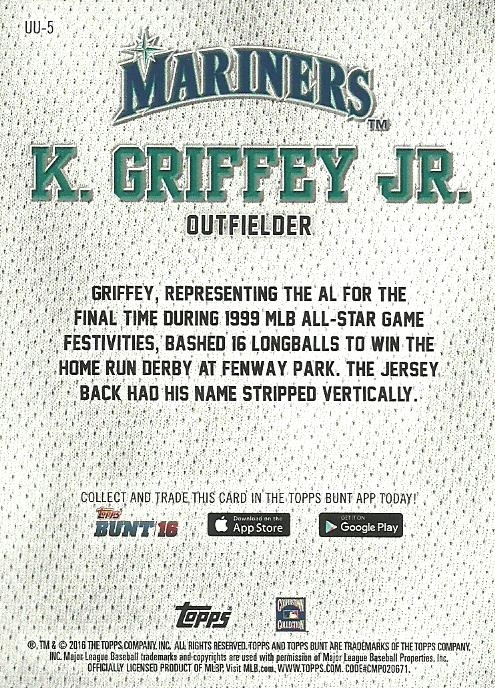 Looks like Topps got their "Up Close" information from Dad's Wikipedia page. I realized somehow these two returns got left in a draft status and never got posted back in early August. 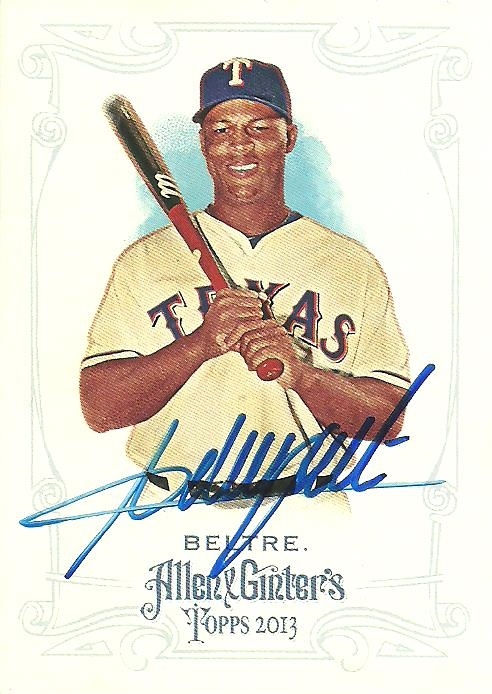 I got an autograph back from Adrian Beltre. Beltre has had an amazing career and isn't done yet. 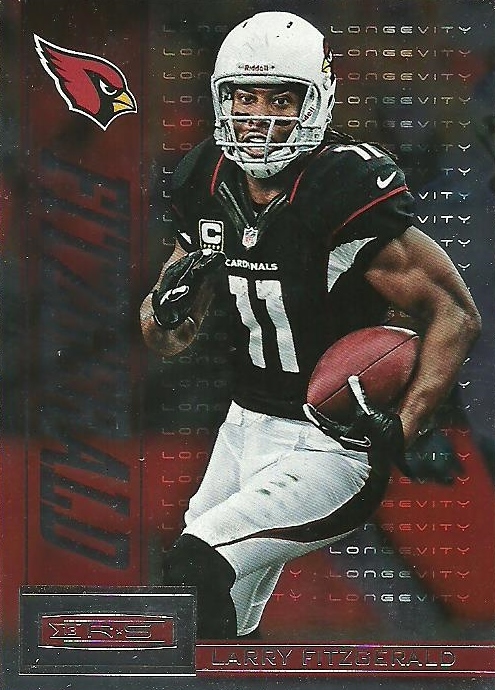 When all is said and done, do you think he will make the Hall of Fame? I got 3 cards back from Dave Dravecky. 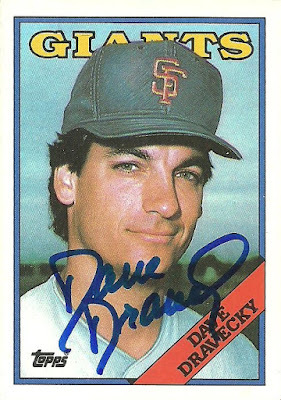 Dravecky has an amazing story and if you're not familiar with it I'd encourage you to check it out here. 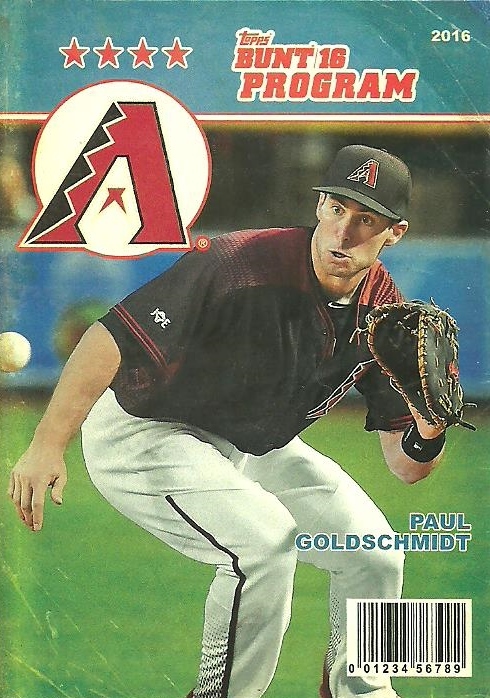 I recently organized my Paul Goldschmidt collection by brand and then by year. They are all in penny sleeves and top loaders or magnetics in a shoe box. 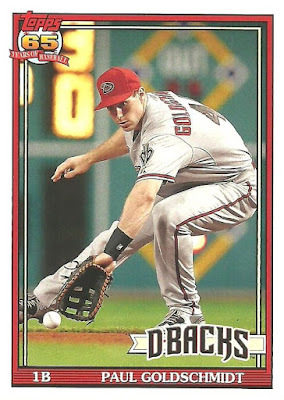 I just added my 217th unique Goldschmidt card to my collection courtesy of Ricky Russo. 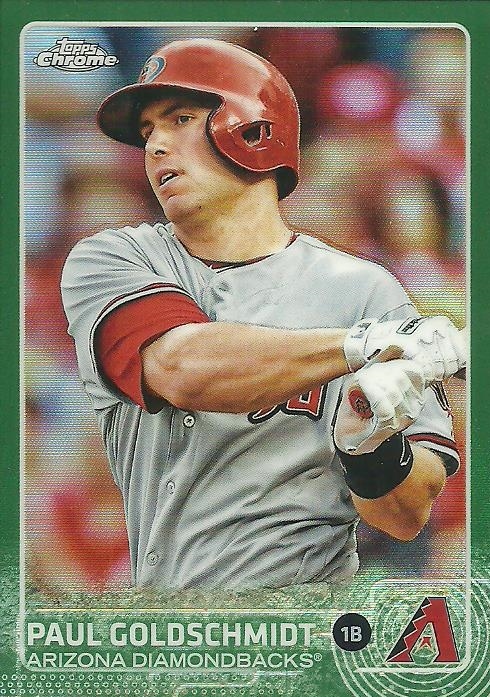 He sent this 2015 Topps Chrome green refractor numbered to 99. Ricky sent me a few other cards as part of a prize package for winning a contest he held in regard to fellow YouTuber Zane the Man. 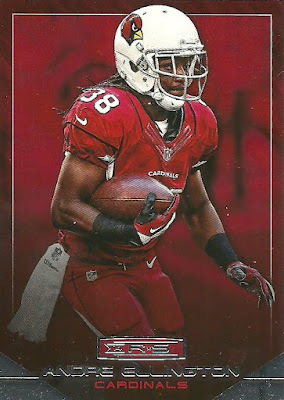 At one point I actively collected football cards, but that was years ago. I am a big Cardinals fan though and am super excited about this season! 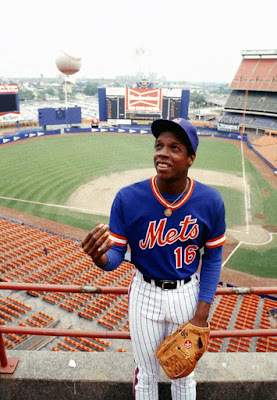 Most people don't look forward to going to the doctor, but I have an appointment on October 1st to see Doc Gooden and I can't wait! As a young kid I was introduced to baseball cards around 1988. I had no baseball knowledge before that. I was 7 years old and I don't think I'd ever played baseball or even seen a baseball game prior to coming in contact with baseball cards. 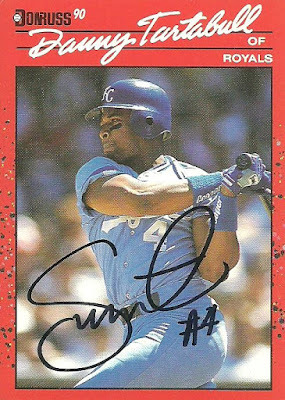 That all changed when I discovered baseball cards. I started playing Little League. 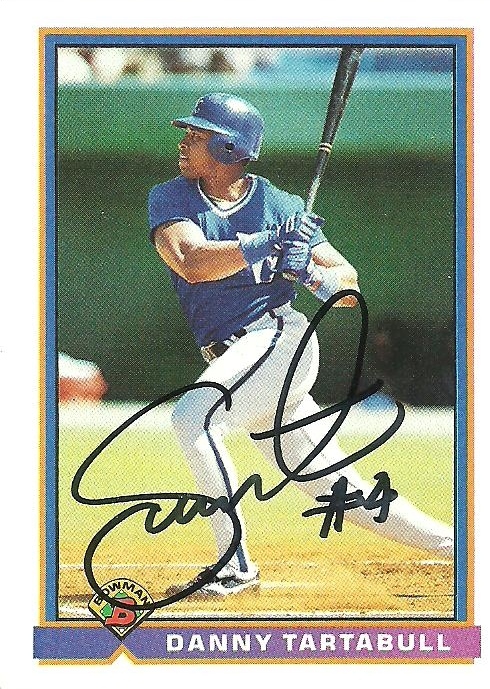 I watched whatever baseball I could at the time, which wasn't much because we only had one tv in the house and at that time it was me and three older sisters, my mom, and a dad that wasn't a sports fan living in our house. I sort of remember watching the 1989 World Series, but the 1990 World Series for sure. My room started to get plastered with various posters and pennants. And my allowance went from buying G.I. Joes to buying packs of baseball cards. My first Little League team was the Yankees and since there was no professional team in Phoenix at the time, the Yankees became my favorite team and Don Mattingly became my favorite player. I had a framed poster of him hanging in my room for the longest time. 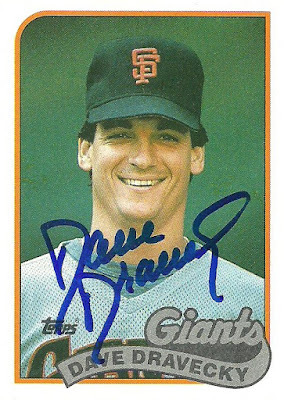 He was my first ttm request. I wrote him for an autograph and got a small signed picture back. 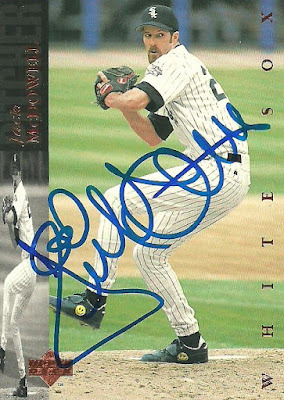 I got to meet Don Mattingly several years back when he was the manager of one of the Arizona Fall League teams and I got his autograph on a baseball. It was a thrill! Another favorite player of mine at the time was Mets phenom, Dwight "Doc" Gooden. 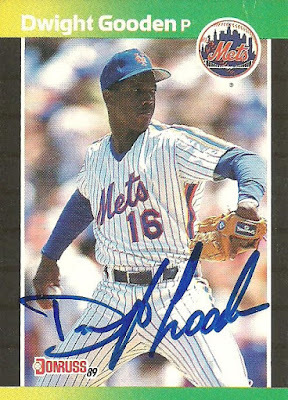 Not sure exactly why he became a favorite of mine, but he did, and for my birthday one year (probably 1989 or 1990) my sister bought me a 1989 Donruss card signed by Dwight Gooden. I remember seeing the card at my local card shop prior to getting it from her. I think the price tag was somewhere around $7 - $9 if I remember correctly. 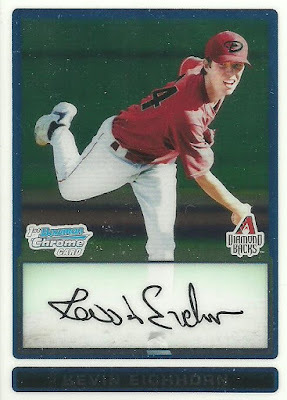 I lust have fawned over it at the card shop and that's why she got it for me, and I'm sure I was thrilled out of my mind when I got it, but as time has gone by I've always wondered if it's a real autograph. 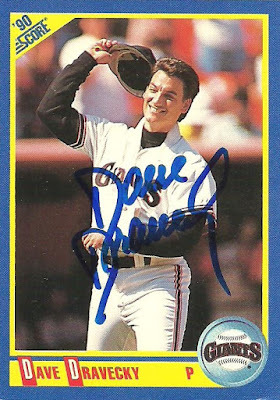 I'm not an autograph expert by any means, but I've gotten my share of autographs over the years. I understand that autographs from one player can vary in appearance. There can be a big difference between signatures that are signed while the player is sitting down at a table doing an autograph signing verses while they are standing up and signing autographs on the field. I have no idea when or where this autograph was obtained, or whether or not it's actually signed by Dwight Gooden. When I got an email that Doc Gooden would be making an appearance in Arizona for an autograph signing, I instantly thought about this 1989 Donruss card and decided that I wanted...no...I needed to meet him and get an autograph. 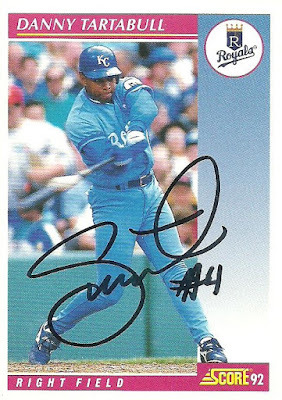 The price tag for an autograph...$39. I am a very practical and frugal person. Frugal sounds better than cheap, right?. This is why I typically don't buy boxes. I just buy singles. 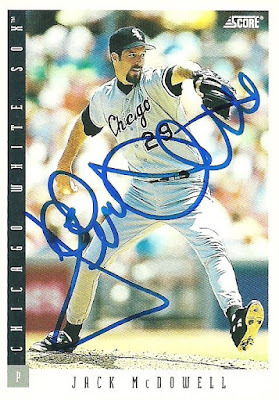 So I debated for a while spending $39 to meet Doc when I could easily obtain a certified autograph for anywhere between $10 -$15 on ebay. But then I thought back to the thrill I experienced when I met Don Mattingly and got his autograph. It'll be totally worth it. Now the question is, what do I get signed. Part of me wants to get a ball signed. I have a nice collection of autographed baseballs and this one I feel would go great alongside the ball I had Mattingly sign. 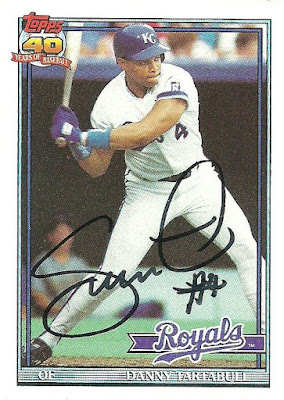 Another part of me wants to get a 1989 Donruss card signed so I could know for sure that I at least have one card actually signed by him. I'm also in love with this photo, after being introduced to it by Fuji as it was used for a 1985 Donruss Box Back card. I don't actually have this photo, so I'd need to track it down. What do you think I should get signed? I picked this 2016 Topps Archives card of Paul Goldschmidt at my LCS a week or so ago for 50 cents. 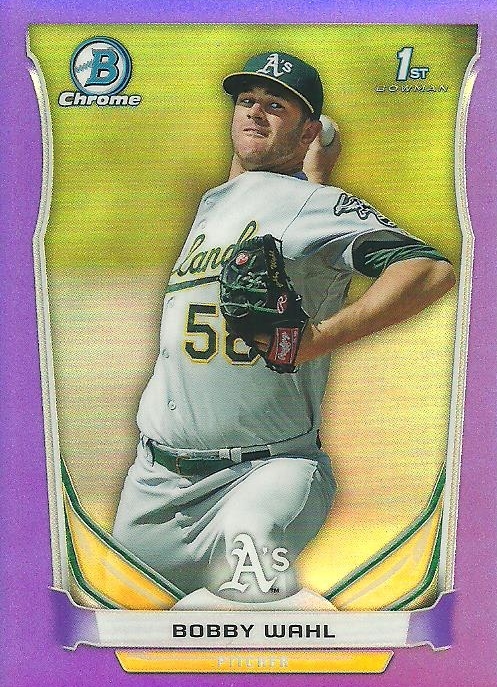 I really like this card for several different reasons. 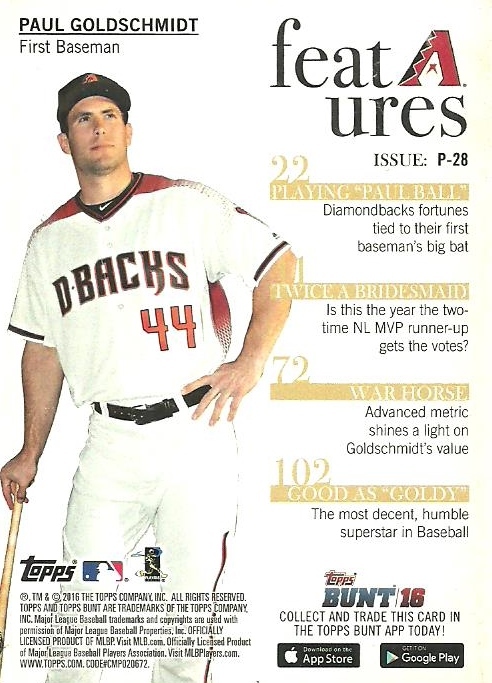 1) It's Paul Goldschmidt, my favorite player on my favorite team. 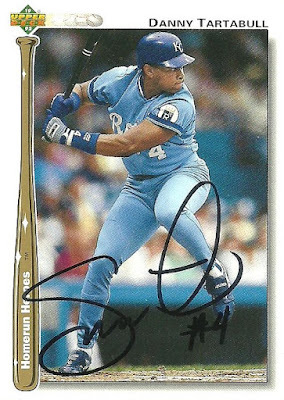 2) I really like the 1991 Topps design which this card is patterned after. 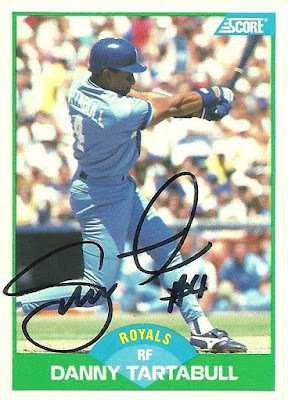 I remember the 1991 Topps set very well from when I was a kid. 3) I love the photo choice. It's a nice action shot and one that hasn't been used over and over by Topps. Here are some cards I've gotten back TTM recently. 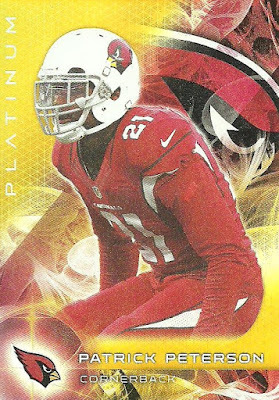 It's always nice to get back players from your favorite team and when it's a current player it's even better. 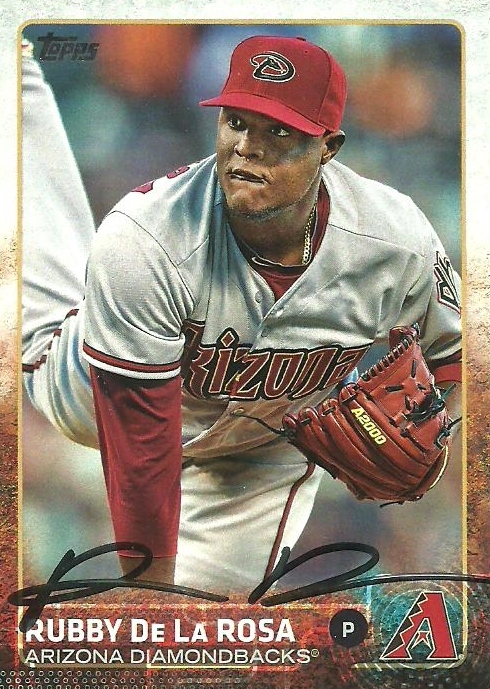 I got these 3 cards back from current Diamondbacks pitcher, Rubby De La Rosa. After going 14-9 in 2015, this season has been a disappointment. Rubby is 4-5 and is currently on the disabled list. 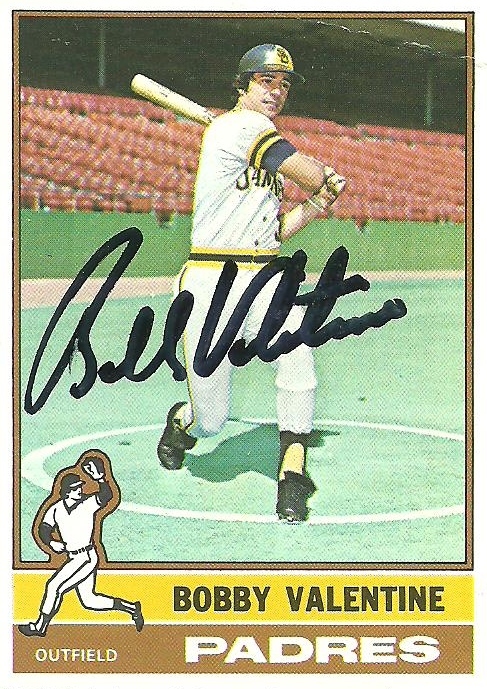 I got one card back from former player and manager, Bobby Valentine. The card wasn't in great shape when I sent it and it came back in worse shape. 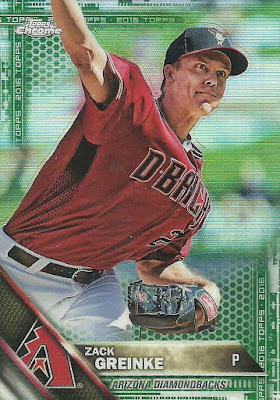 The envelope was pretty trashed and the card itself has a huge crease in the upper right-hand corner that doesn't really show on the scan. Still a nice return though. Danny Tartabull spent his best years in Kansas City; including his 1991 in which he made his lone All-Star appearance. 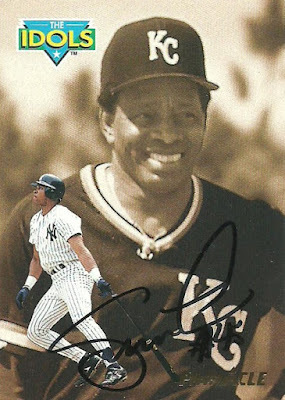 While with the Yankees in 1994, Tartabull appeared on two episodes of Seinfeld and an episode of Married with Children. 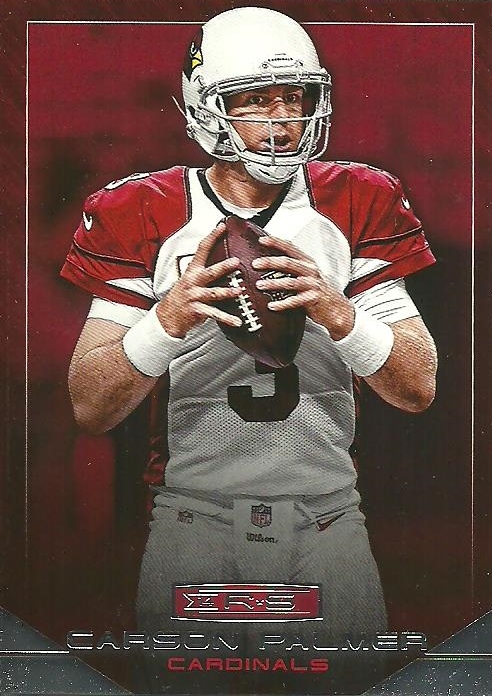 It's Labor Day and So I thought it would be appropriate that I feature a card that I sold over the weekend and the rest of the box it came from. Two Saturdays ago my boys and I went to the LCS and we bought a box of 2016 Topps Bunt. Initially I split the box with my oldest, but he didn't pull anything noteworthy and was disappointed, so I told him I would buy the whole box. This way I got a complete set. 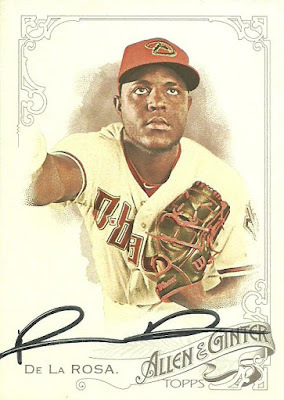 I actually like the basic design and think they would look great signed. I did pull this card though that is numbered to 75 and is listed at just 1 per 1,399 packs. I listed it on ebay the next day and it sold yesterday for more than I paid for the entire box. In addition to the entire 200 card set I got a plethora of inserts including this Paul Goldschmidt for my collection. 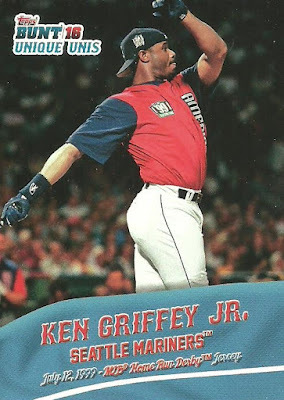 I also added this Ken Griffey Jr. insert to my collection as well. Overall, at less than $1 per pack, I was very pleased with the box. 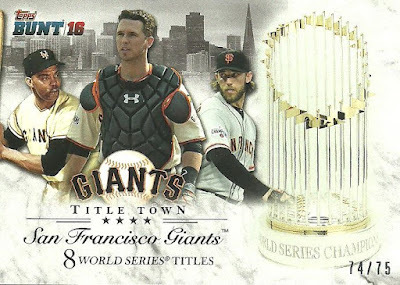 Not sure how I'd feel though if I hadn't pulled the Giants card. Well, I better get to the post office to get it mailed off. Happy Labor Day everybody! I only had two blog posts in August. That is a tie for the lowest amount of posts I've ever done in a month. There are a couple of reasons for this. The same reasons that we all experience from time to time; a lack of time and money. In early April I was laid off and so while I had more time to blog, I didn't have the funds to purchase cards. I realize that you don't have to buy cards to have something to blog about, but it does help. While I was unemployed I took advantage of my extra free time and did a thorough reorganization of my entire collection. 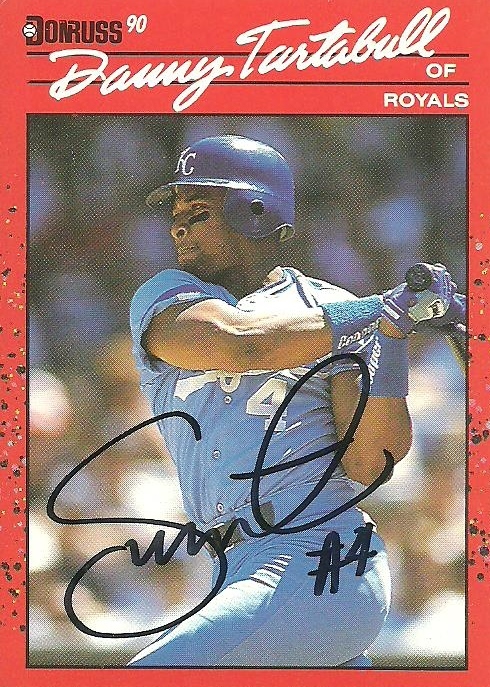 I went through roughly 25,000 basketball cards and 80,000 baseball cards. Here is a brief breakdown of how I organized the baseball. After almost 4 months of being out of work I found a great job and have been there for about a month and a half now I'm really enjoying it, but I had to take a significant pay cut and the hours are different and the commute it longer, so now I don't have a lot of time or money for the hobby. But like I said before, I know you don't have to have a ton of money, or time for that matter, to keep a blog going strong. It just takes some effort and a desire to keep it going, and that I have.